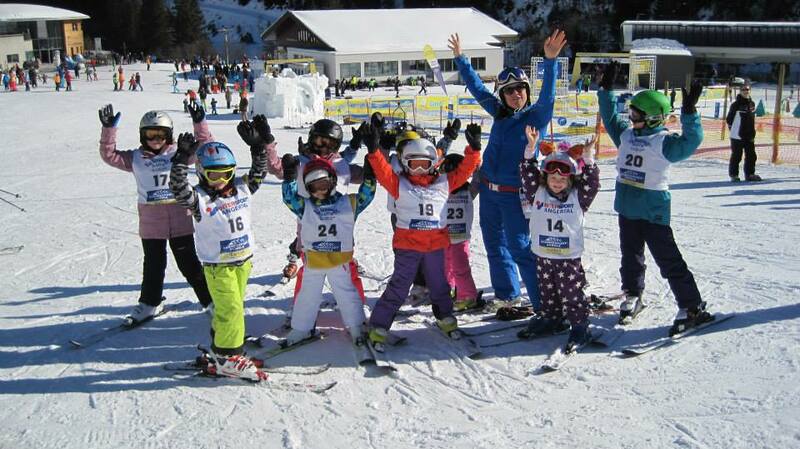 Book ski lessons in Bad Gastein! Bad Gastein is one of the most popular ski areas in Austria and the largest Gastein village. The Gastein resort consists of Bad Hofgastein, Bad Gastein, Dorfgastein and Sportgastein, allowing you to conquer 205 kilometres of superbly groomed slopes that reach a peak of 2300 metres above sea level. The assortment of available slopes is overwhelming and satisfies the wanderlust of all avid skiers and snowboarders. Bad Gastein itself provides access to 101 kilometres of slopes which are mostly protected from the wind as they are situatated in forest areas. For the enthusiasts that this is not enough yet, Bad Gastein is also part of Europe’s largest ski network, Ski Amadé. The Salzburg Super Ski Card will let you explore an astonishing 760 kilometres of slopes seamlessly connected by 270 lifts across Salzburg. With a 45 million euro investment in Gastein over the past few years, the cable cars and ski infrastructure are modern and safe. Highlights include Europe’s highest suspension bridge on the Stubnerkogel, with views that send shivers down your spine and take your breath away. With artificial snow-making, snow is guaranteed all winter long. If you are looking for adventures, you can indulge in weekly ski races, a funpark, snow kiting, ice climbing and, the World Championship-calibre Graukogel race hill which is a permanent fixture of the resort. Furthermore, the area holds the longest run in the Eastern Alps – Hohe Scharte North, which is a magnificent descent of 10.5 kilometres. Bad Gastein is an excellent place to practice skiing with the help of the top ski instructors of Skimundi's partner ski school, Schneesportschule Gastein. Ski lessons in Bad Gastein have never been easier to book, with Skimundi they're just one click away! The rustic chalets and charming architecture mix elegantly with the magnificent natural landscape. After a long day of skiing, you can also have the pleasure of enjoying one of the renowned thermal baths that date back to the 13th century. There are two thermal baths with breathtaking 360-degree panoramic mountain views, and seventeen therapeutic hot springs for your indulgence. In German, “bad” actually means “spa,” reflecting the town’s history as a health resort. The bath complex also includes a multimedia adventure dome, thrilling water slides, geysers and a glassed-in sky bar. When you are ready for a drink, the après ski scene is always buzzing. Whether you choose a traditional Austrian pub, the casino or one of the more sophisticated bars, there is always something going on. Take your chance and experience what all the hype is about yourself!